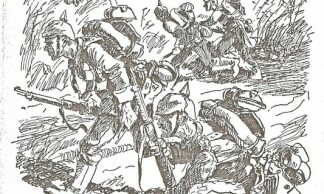 On the morning of 23 August, German troops advanced toward Gozée emerging from the woods of Grattière, Aulne and Prince. 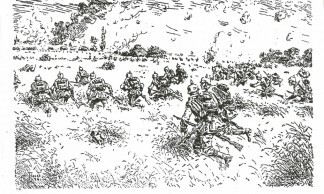 The north of the village fell into enemy hands at midday. The Germans approached on all sides. 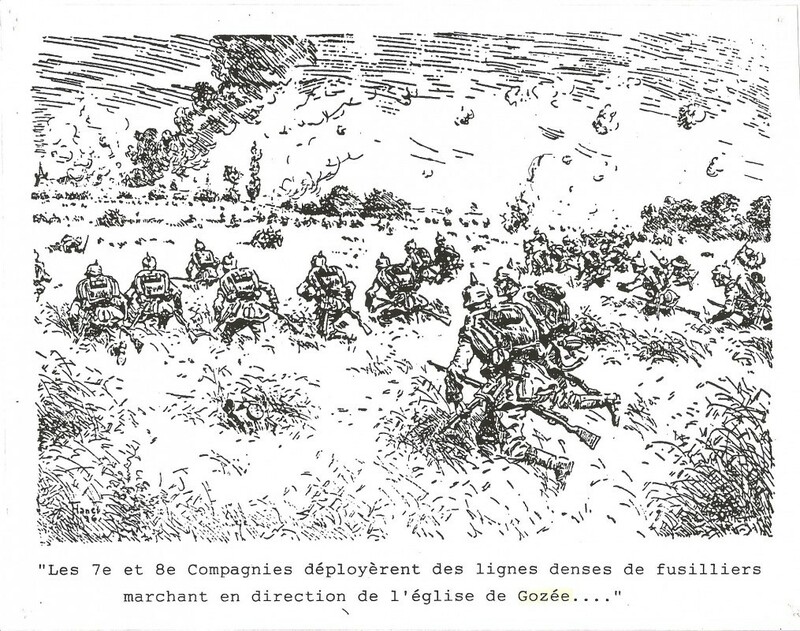 The French then received the order to withdraw in order to prepare a counter attack. 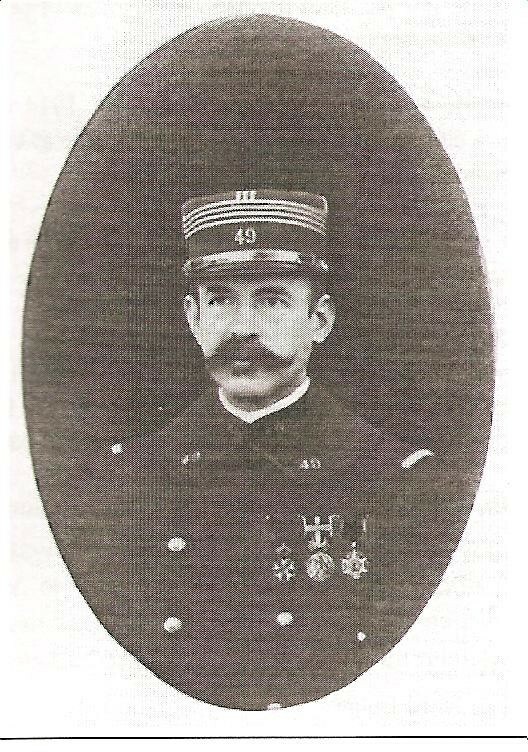 Once the battle was raging and success appeared jeopardised, the French resume the offensive. 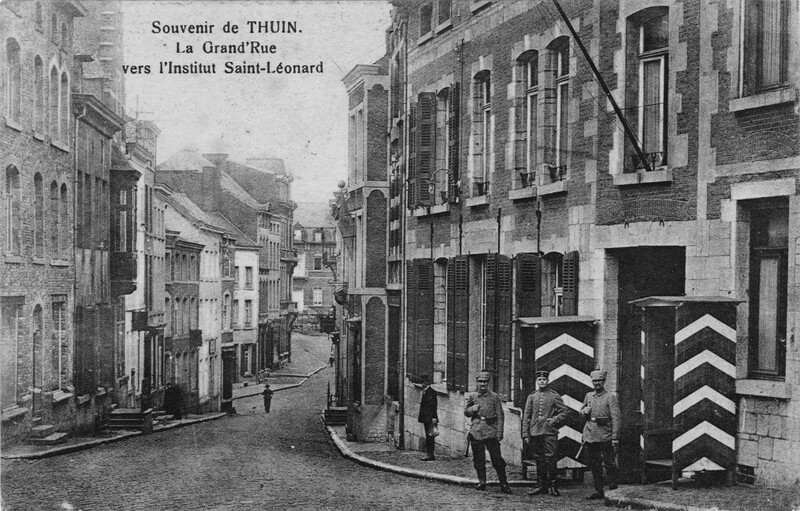 The French shelling caused numerous German losses. The German supply convoys fell back to Marchienne-au-Pont et Marcinelle. German reinforcements did not stop arriving. 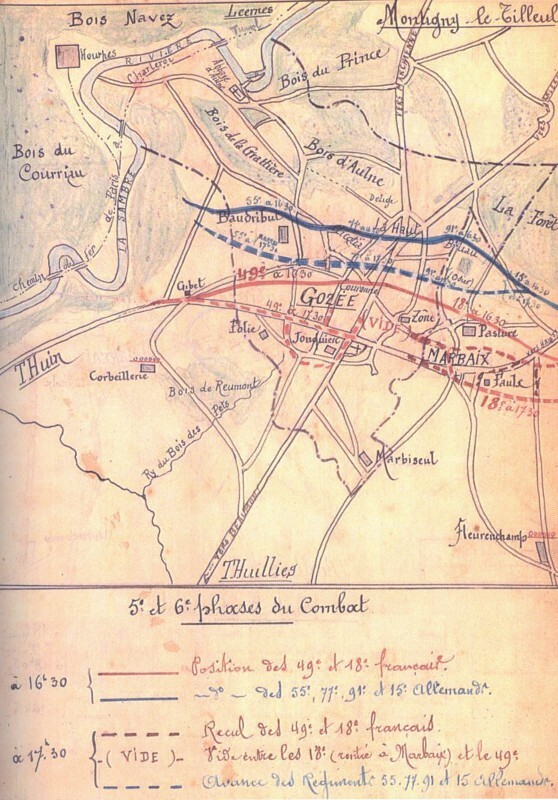 At 6 pm, the Germans’ encirclement movement was accentuated by the farm of Baudribus et Marbaix-la-Tour. The French moved back toward Thuillies. Given the superior number of the 2nd army, the village fell into German hands. 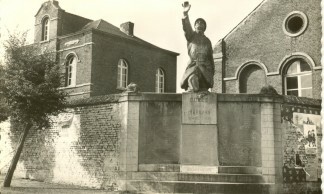 The monument to the dead in the square of Gozée was inaugurated at the end of a solemn mass in memory of the soldiers, on 10 August 1924. It is the work of Hector Brognon. 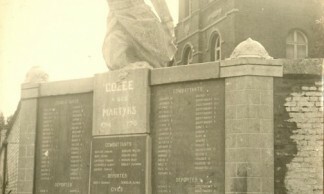 In 1964, and due to works at the school, elements of the moment were removed and placed in the current municipal cemetery. 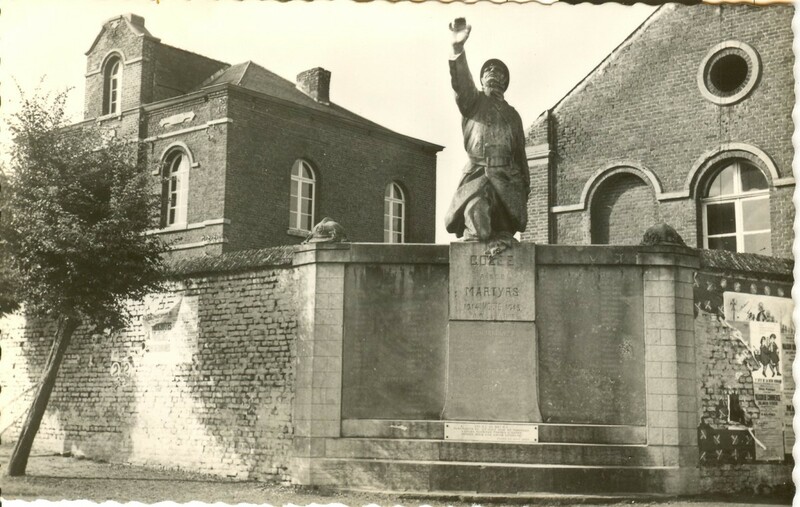 At Gozée-Marbaix-la-Tour, the outcome of the battle was a drain for the armed forces present. Out of 12,000 German soldiers and 4,200 French soldiers, 360 French and 546 Germans were identified as dead. 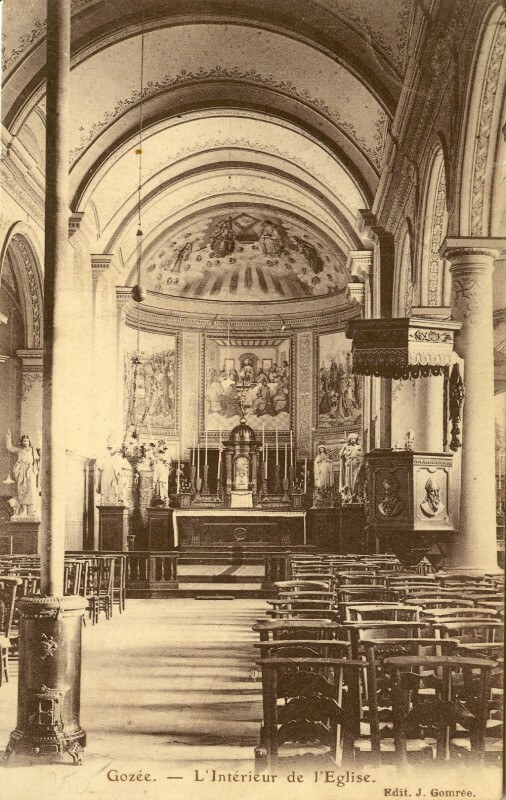 Others were cared for in the church transformed into a provisional hospital, but the majority were lying in a meadow, on the route between Bomerée and Beignée. 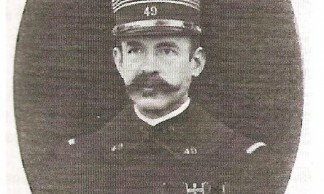 At the crossroads of la Couronne, Emile Farcy, owner of the Estaminet de la Couronne, was suspected of providing information to French soldiers. He was shot by German soldiers in the telephone cabin in his establishment. 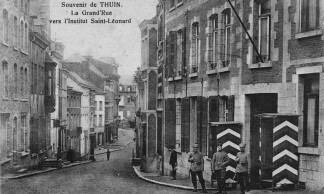 Four civilians were also killed: Urbain Davelois and Pierre Sabaut in the hamlet of Bois Leratz; Léopold Tilmant was hit by a stray bullet on his home on the road of Thuin; Gaston Hiernaux was killed by a bullet in his doorway. 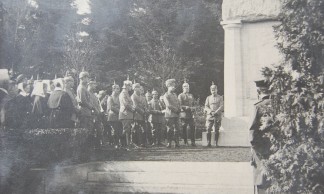 The day after the fighting, the bodies of French and German soldiers were buried were they fell. Sometimes with the help of locals, temporary graves – individual or communal – were created. 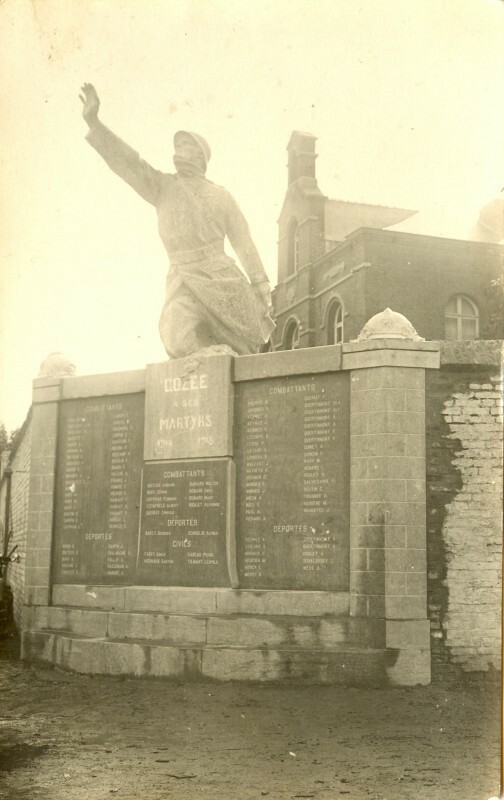 A cross bearing the names of the soldiers was erected. 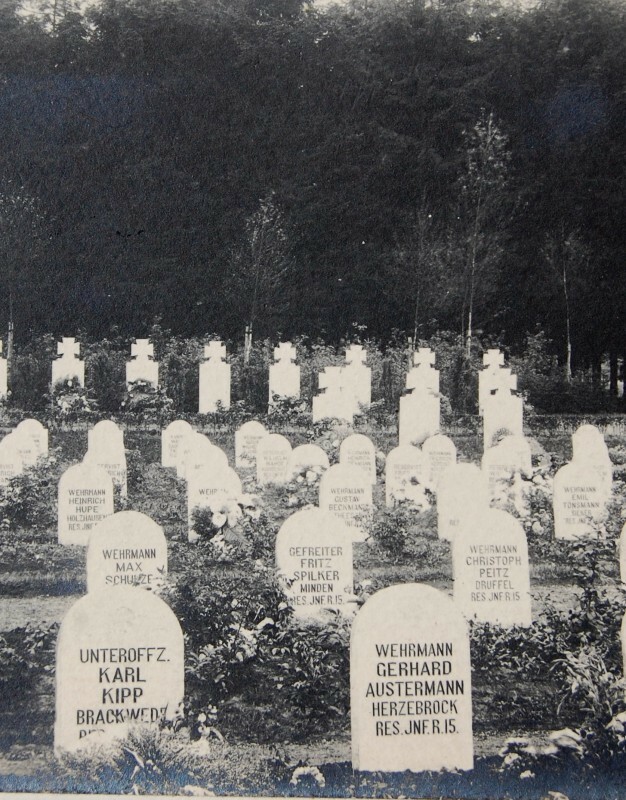 The German services established a map situating the placement of the numbered graves. 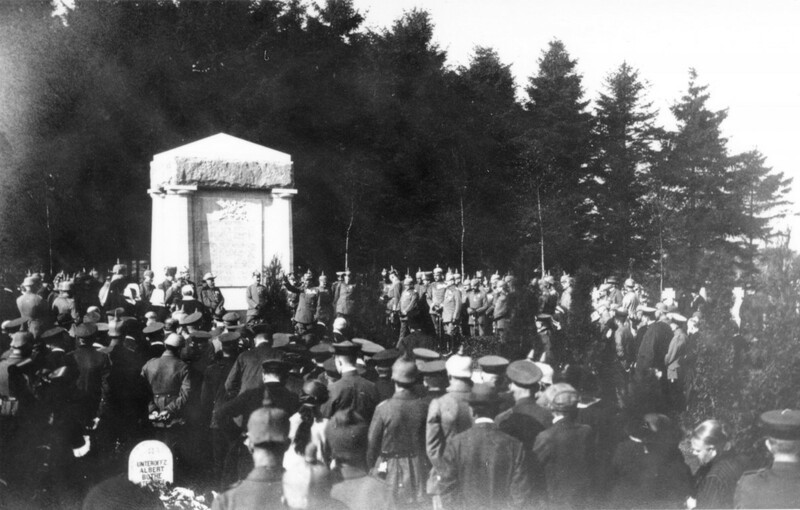 In the summer of 1915, at the request of Germany, the town of Gozée made land available for creating a Franco-German cemetery. 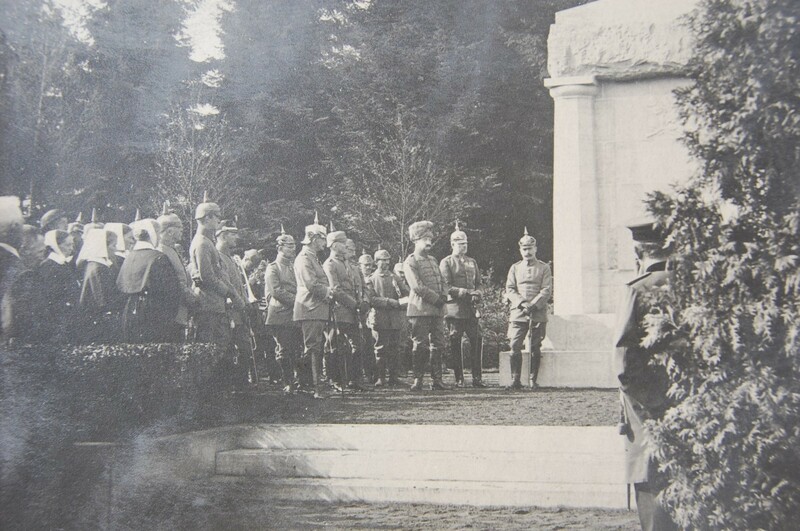 In November, with the exception of a few German officers reclaimed by their families and sent back to Germany, the bodies of soldiers buried in the fields were transferred to the new cemetery. 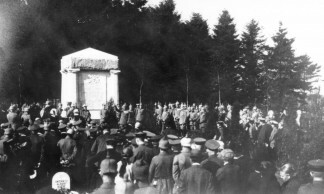 Inaugurated on 23 August 1916, it brings together 464 French soldiers and 13 officers, and 543 German soldiers and 28 officers. 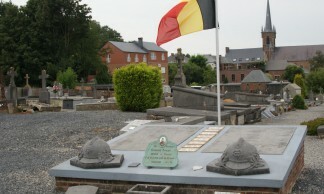 In 1922, the bodies of French soldiers were exhumed by the French graves service. The remains were placed into new coffins, and transported to Aiseau to the Belle-Motte military cemetery. 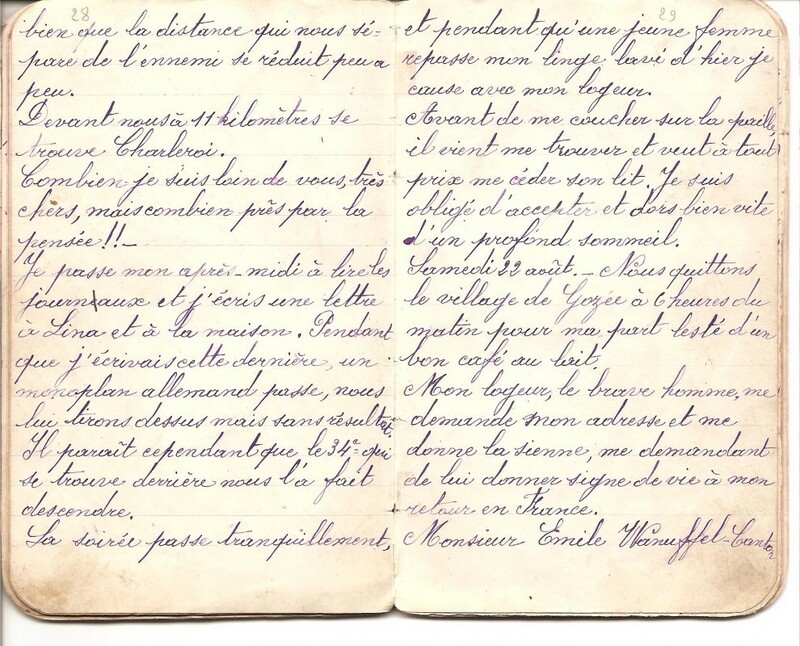 The four bodies between them, reclaimed by their families, were sent to France. 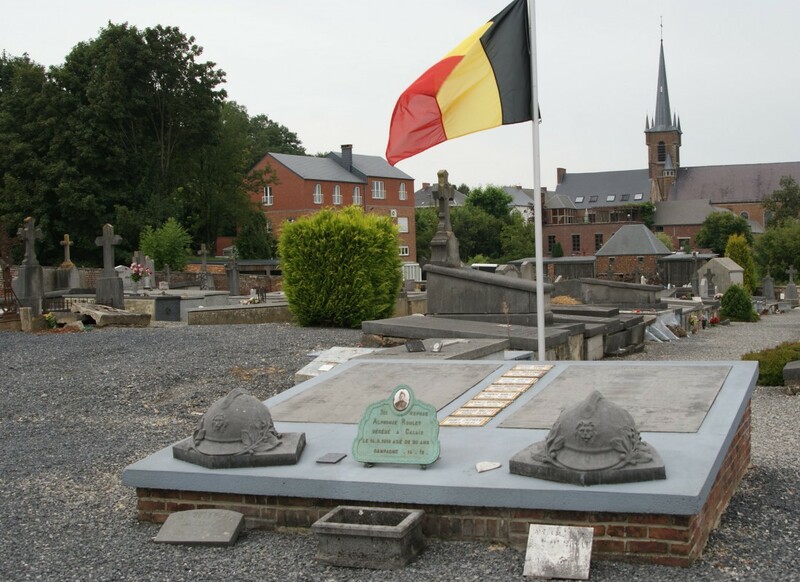 In 1929, the space that had become free received the bodies of 235 German soldiers killed in the battles of Lobbes and Nalinnes. 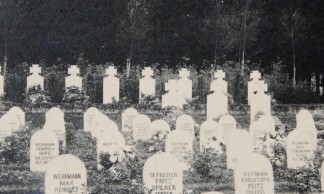 Thereafter, the soldiers identified were transferred to the military cemetery of Vladslo, near to Dixmuide, between 4 September and 4 October 1956. 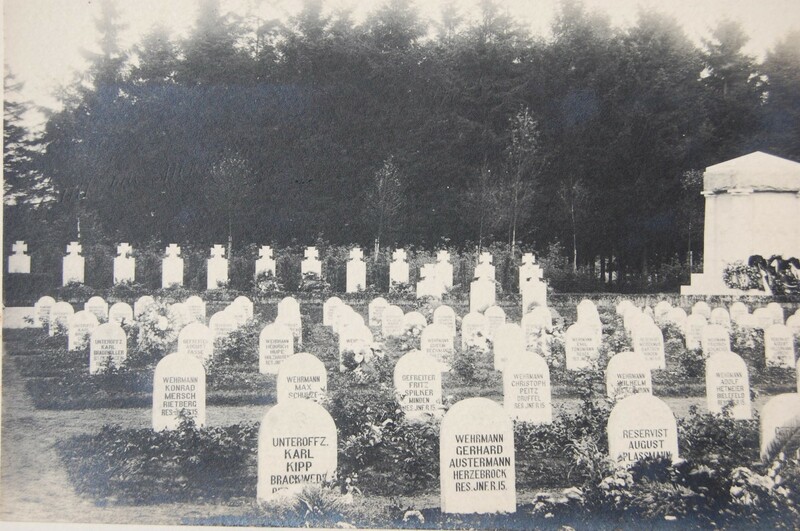 The Germans not identified were sent to the military cemetery of Langemark. 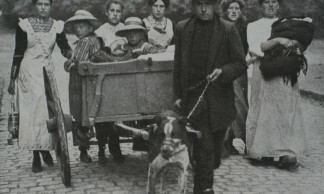 The number of requisitions was to set the pace for the daily lives of the civilian population: oats and hay needed for the German troops’ horses; sheep’s wool; smooth or barbed wire for fencing; objects in leather or tin; inside door handles; name plates; walnut trees of more than 40 cm for fashioning rifle butts; farmers horses for transporting tree, etc. The destruction caused by the conflict left deep marks in the landscape. The material damage was considerable. The harvests were destroyed, and the young fruit trees were felled to facilitate the firing. The wheat and oat fields were cut up by the numerous ruts carved out by the wheels. In certain places, trenches were made for marksmen kneeling to protect themselves from the enemy. The aim being to shelter oneself while maintaining full movement. The fields were covered with broken weapons, pierced bullet ball helmets, sacks burst open, empty cartridges, clothing and shoes soaked in blood. The locals requisitioned to bury the bodies were confronted with the dead, with death in its raw, brutal and shocking form: the remains of mutilated bodies, personal objects bearing witness to a life, to a family. Certain inhabitants kept a trace of these lives cut short, or sought to notify the families of the fallen soldiers. 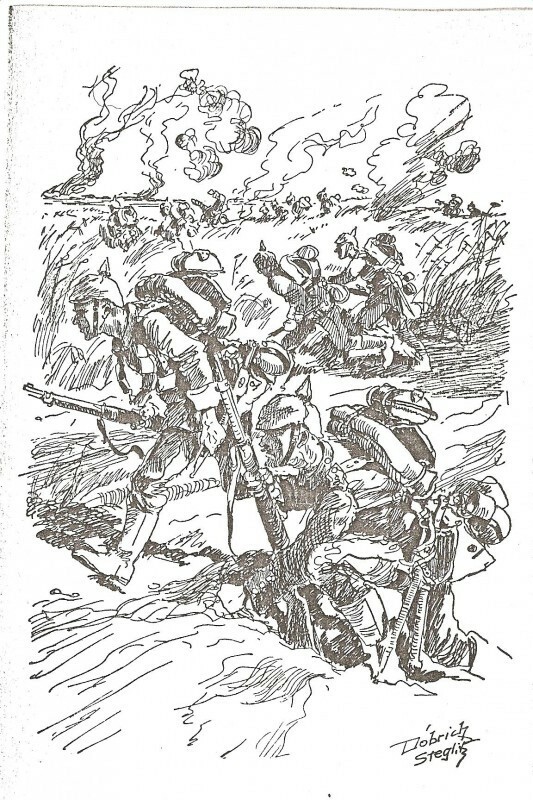 Packages, post cards and letters were sent, or sometimes even the soldiers’ reproduced pocket books. Through the violence of the battles inflicted onto the soldiers and civilians, the First World Ware saw an overall toll of more than 9 million deaths out of 73 million combatants, and around 20 million injured. Over the four years of the conflict, this carnage gave rise to a major requirement for doctors, nurses, as well as organising space for care. 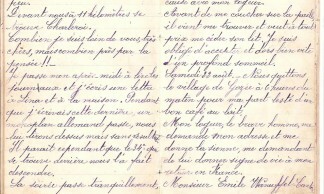 In Gozée, the figure reached more than 3000 killed, injured and disappeared. 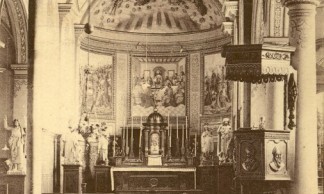 During the night of 23 and 24 August following the battle, the pews were emptied out of the church, and in their place was placed straw, hay and mattresses. The top of the Prie-Dieu served as splints for the broken limbs. 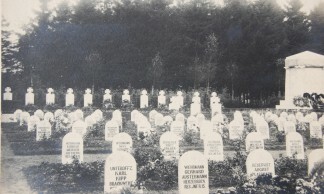 German officers were to be buried in the small cemetery by the church. 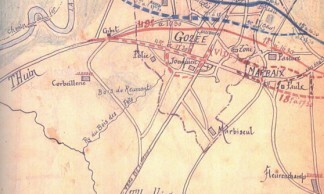 To the north of the village, the injured were evacuated to the edge of the wood and in the meadows next to Café de la Belle Vue where the doctors operated. The order was given to those who could walk to go to the hospitals of Charleroi and in the region. 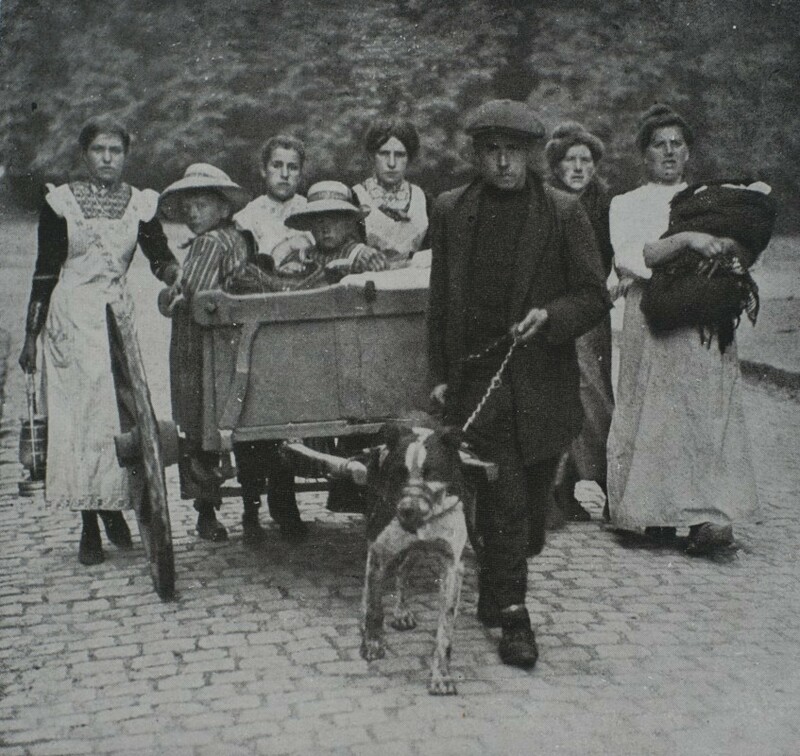 The others were transported using ambulances, trams and around 20 cars made available by the people of Charleroi. In Thuillies, the steam tram took eight carriages to the hospitals of Charleroi.